The Fondis Stella 3 V350 is a tall woodburning inset stove giving you a fantastic view of the flames at full height. The frameless glass door of the V350 stove makes it even more suited to use as an open fire. 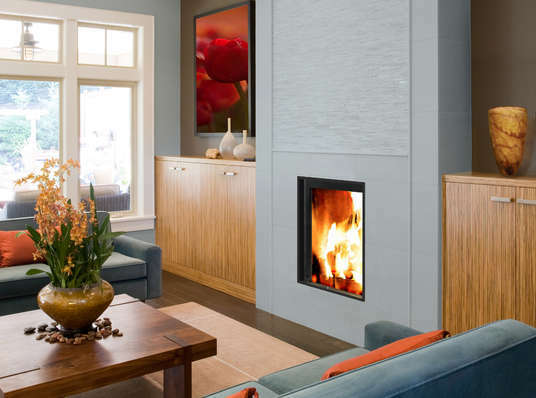 Raise the door and one has a fireplace, lower the door and one has an efficient, controllable and powerful (when required) Fondis woodburning stove.